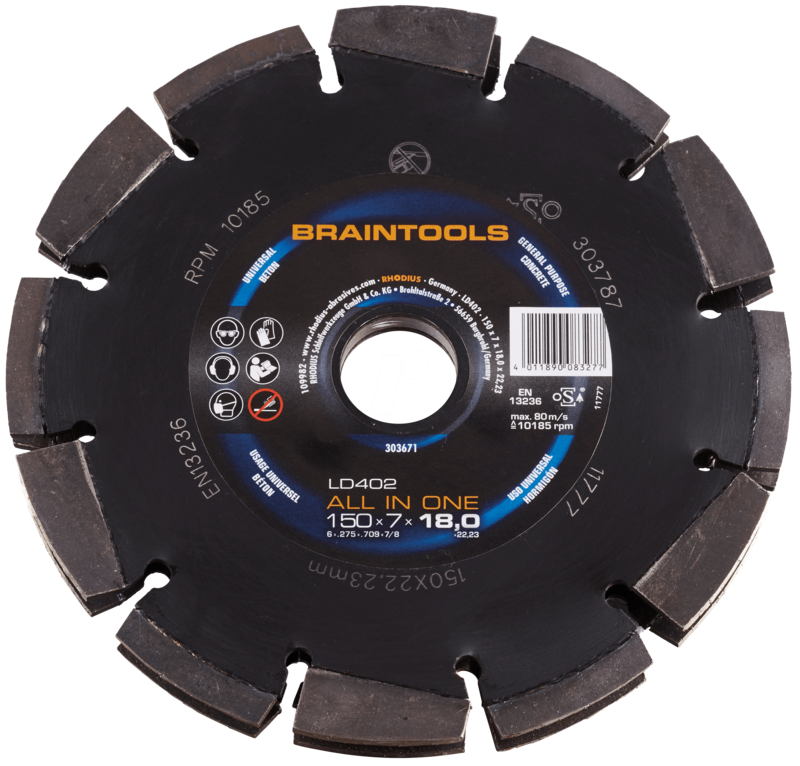 The ALL IN ONE allows the fast and comfortable milling of wall slots in a variety of stone materials (including reinforced ones). Thanks to the clever system of staggered segments, you can now, for the first time, mill accurately-sized wall slots and remove all the material cleanly from the slot. No more troublesome knocking out of the middle ridge. The efficient, laser-welded ALL IN ONE disc system mills aggressively and has a long lifetime.